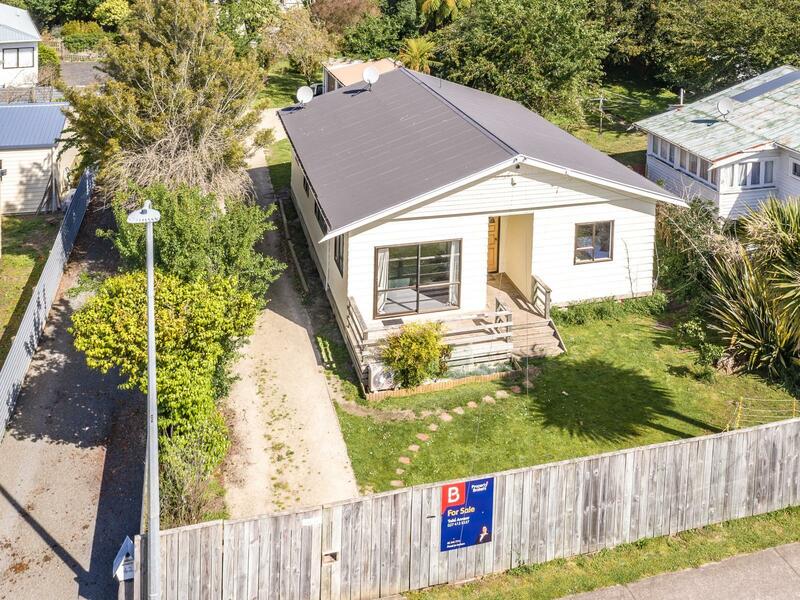 This 1920s, 110 sq m (more or less), two double bedroomed home with huge double garage workshop could be the sanctuary you have been looking for. Behind the private gates you'll find room for all your interests whether its gardening, bird watching or if you're a toy enthusiast, the 768 sq m (more or less) section will give you great options. Enjoy the sun all day with decks at both the front and rear of this property. The older style kitchen/dining is large and could be upgraded and re-configured to accommodate a possible third bedroom. The separate lounge has a heat pump and was refurbished in recent years as well as the master bedroom. The combined bathroom and laundry has a large stainless steel tray shower with extractor fan and partitioned off toilet for privacy. The current vendor has improved this property with driveway, fencing, alarm system, refurbished to remove the last of the scrim from this home and insulated the master bedroom exterior walls. The house was re clad by a previous owner along with upgrading to aluminium windows and ranchsliders. The current owner has enjoyed this property for many years and has had the exterior and the roof painted professionally in June of this year. The vendors circumstances have changed and they now wish to seek a new ruler for this kingdom. Call now to book your viewing you won't want to miss out on this one.